Almost 6 yr old Zelda is blind. She goes to Paris for the first time and discovers the city through touch, taste, smell & sound. 141 backers pledged $11,342 to help bring this project to life. My daughter is almost 6 and her name is Zelda. She is blind. She has a twin brother named Creed. He can see. But La Petite Zelda sees everything, everyday. 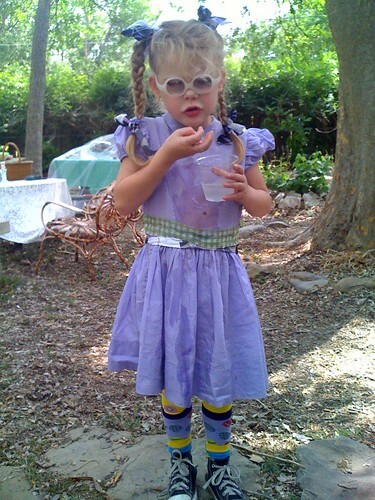 Stubbornly independent, silly and feisty, she is learning Braille, walks with a long white cane and has been attending a French immersion preschool everyday for the past 3 years. She sees things that I will never see. My family learns to look at things differently, everyday. I have been working on this children's book for a year now and in July we will be going to Paris, as I have a teaching job there. 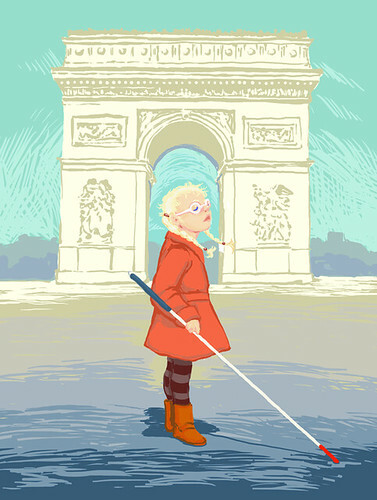 I am finally getting to show Paris to my children and see it through "their eyes". The book will become a reality. As Zelda is an experiential learner, she will discover the city through touch, smell, sound and taste. This will be recorded in still photography but also in video, so we're able to capture her words. Her verbal impressions can then be added to the storyline of the book that has already been written. Zelda is holding a flower, she smells it and talks about the feel of it...then the illustration pulls back to reveal her standing in the Jardin de Tuileries. Next, Zelda is walking and "bonks" her head - as she does often - "Mama, what's that?" It's steel, it's very hard and rough, and smells funny. She runs her hands up as far as she can reach. We then see Zelda standing under La Tour Eiffel. There are so many scenes like this but none can just be written by me. They absolutely have to have the experience of Zelda discovering the city herself. It's not fiction - it's a true story. 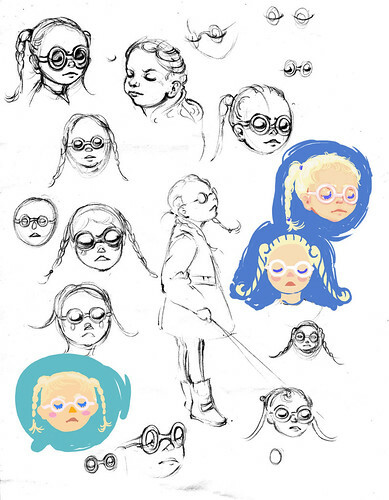 And this is where you come in: our illustrator, Aaron Flynn, has been busy sketching "petite Zeldas" as well as placing her in scenarios that would represent her tactile discovery of Paris. But, nothing can truly be accomplished until we get over there and have Zelda, herself, interact with the city directly. Her words, her interpretations through touch, smell, taste and sound are essential to the book. Her experience will ring true - through to the actual representation of this adventure. Your support will help us be on site in Paris so I can have Zelda experience the city through her own senses and then, the the book can be finished - being penned and illustrated. The funds will provide for final writing, illustration, and first round production of the book. Writing a bi-lingual book is easy, adding Braille will require different technology. A "grand merci" and a hug from Zelda when we see you on the street. A postcard from Paris with a Zelda "new word" update - she's speaks French but we'll be doing a new word each day. A postcard from Paris in Braille & French and a link to our video blog. A "La Petite Zelda goes to Paris" t-shirt in either kids' or adults' sizing. A signed, first-edition copy of the book, "La Petite Zelda goes to Paris." A signed, first-edition copy of the book, a t-shirt, and a DVD of Zelda in Paris. An original, limited-edition signed print from the book's illustrations, a signed copy of the book and the DVD. Be listed as a sponsor with your name and a "Merci mille fois" - that's thanks a million - printed in the book and an original, limited-edition signed illustration from the book, as well as the book and the DVD. Listed as a sponsor with your name next to a "Merci mille fois!" printed in the book as well as a boxed set of 12 original, limited-edition signed illustrations from the book, a copy of the book and lunch with La Petite Zelda - we'll come to you!